DefianceIndustries has debuted his Bearcat, and it's a beauty! 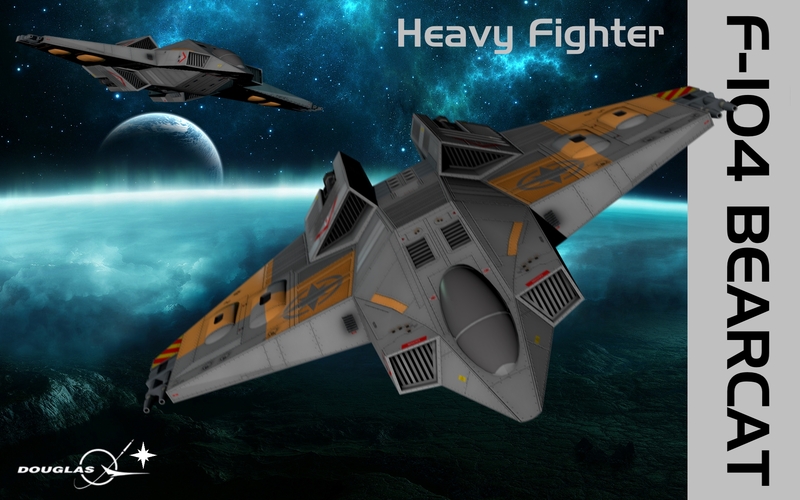 Wingnuts overall have a bit of a love/hate relationship with the heavy fighter, but I've always been a fan. I love the aggressive stance from the head on perspective as well as the substantial engine cluster. It's hard to have a conversation about the ship without dragging in discussion about its wide-spaced guns, but they sure look cool. 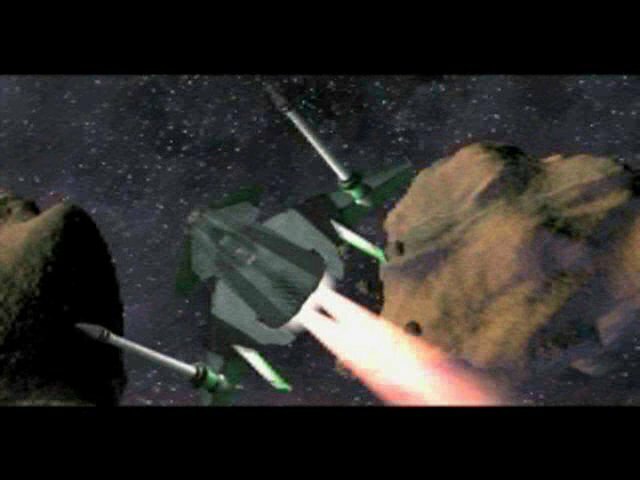 We really don't get to play with the ships nearly enough, and if we ever got a game where the Bearcat got more play time, it'd probably have a different gun loadout with better beam convergence anyhow. 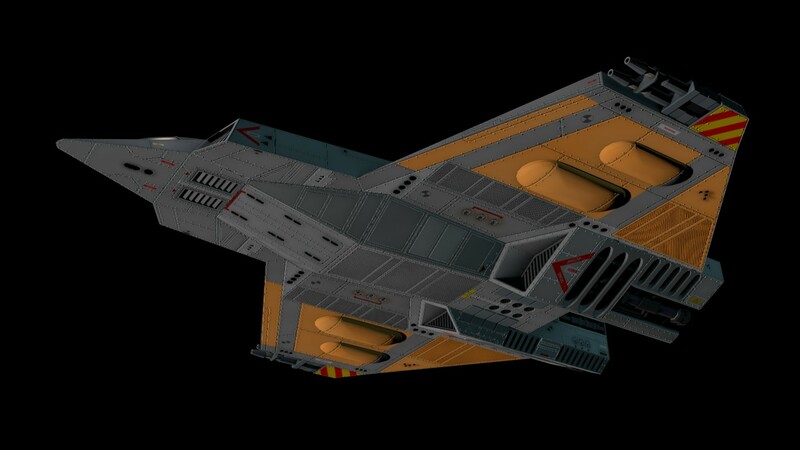 This is oddly one of my favorite Confed designs, it's clearly an evolution of the Hellcat but there's some definite Excalibur influence as well. 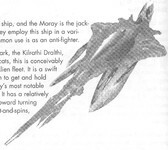 Also on paper, it's actually quite a nice fighter; she's fast, nimble, and has better shields and armor than her big sister. About the only gripe are the lackluster guns. 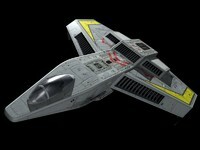 While working on this one I thought: "With the Excalibur they built a sword, with the Bearcat, they made a scalpel." Not sure why but that sums the F-104 up nicely in my mind. And a fun little fiction sales brochure cover because... why not? Soo... either the grocery store changed up the preservative on the shells or the dye crayons got cheap this year, so you can't really make out our Wing Commander themed easter eggs. 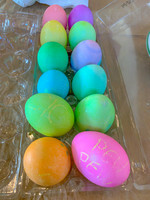 At least these eggs don't shoot Steltek guns at you! Happy 4/20! The following spacecraft have a maximum sustained speed of 420 kilometers per second. 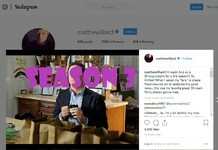 The Maniac has become the poster child for social media support hell this month as he found himself locked out of his Instagram account. The saga began on or about April 1 when he got a new phone and was unable to log in. His password resets didn't work and he encountered some baffling "user not found" errors. And despite being an IG-verified celebrity with more than 150,000 followers, he couldn't reach a live support human to get him sorted out. So, he resorted to Twitter and various news outlets to get the word out. Apparently it worked, and as of last night, his account was reset so he could begin posting again. 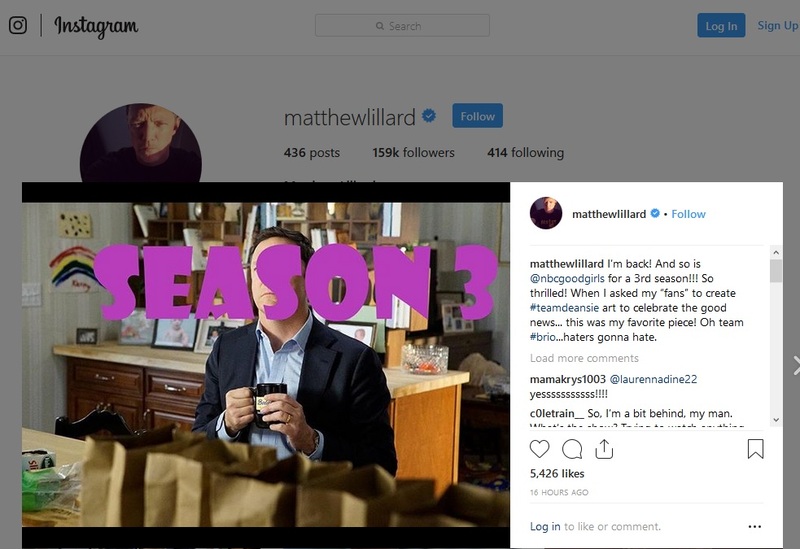 Matthew Lillard is currently starring in NBC's Good Girls, so he's got plenty of promotion to catch up on! Social media platforms have long since moved beyond being frivolous sharing outlets and are a bonafide component of any professional marketing strategy, so something like this could be serious business. We're happy to see he's back up and running now! Yo @instagram, I’m tellin’ everyone how you done me dirty! I’m nothing in the world, without pictures of me existing in the world. Thank u @karissabe for being my hero. Special Operations 1, Series 2: Testing the Morningstar! We encourage anyone interested to sign in to the Discord Live Chat to talk about Fleet Action... or ask questions live via Discord or YouTube during the show! Missed the stream? The replay will be available below once it has been processed by YouTube. You can subscribe to the AWC channel for future notifications here. We've got some sad news to report today. 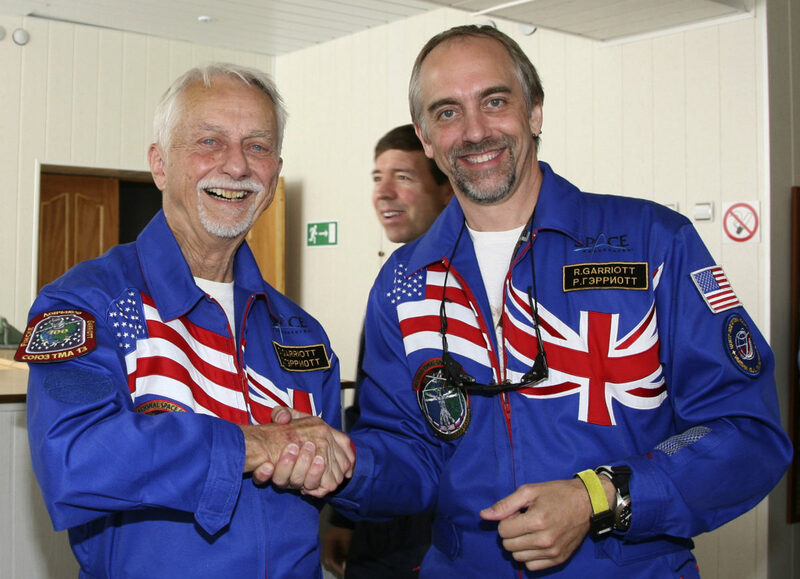 Noted astronaut Owen Garriott passed away on Monday at age 88. Mr. Garriott was one of the early pioneers of long-duration space travel with a 60-day stint aboard Skylab in 1973. 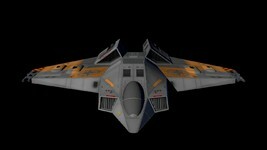 He also flew on the Space Shuttle Columbia in 1983. Early on in his career, he served in the US Navy before going on to teach physics at Stanford and hold a variety of positions at NASA. 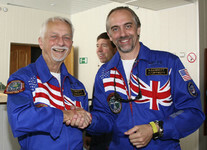 The elder Garriott also served as one half of the first American father-son astronaut duo when Richard Garriott went to the International Space Station in 2008. And while we often refer to Richard as "Origin founder" in our news stories, Origin Systems was actually co-founded by Richard and Robert along with their father, Owen, and programmer Chuck Bueche. In various interviews, Richard credits being sent to a programming camp that Owen picked out as a major influence that set him on the path towards game development. 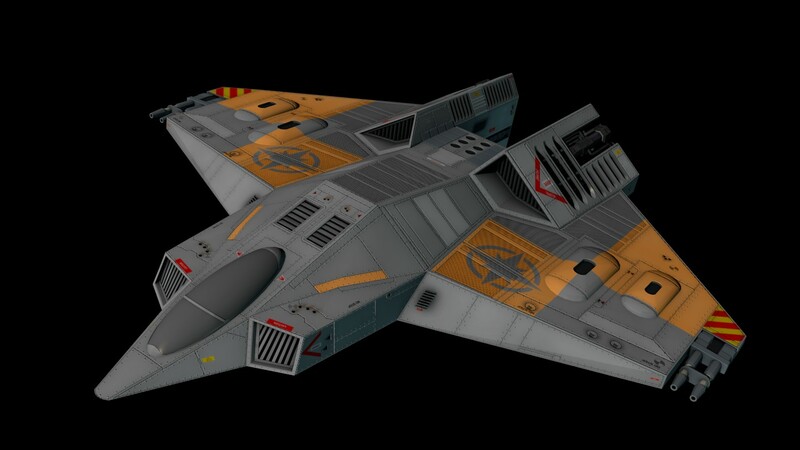 In addition to this connection to the Wing Commander series, in a broader sense, we all continue to benefit from the advances in spaceflight, technology and engineering that he advocated for over many years. We're all better off thanks to you, sir. Episode 9 of All Wings Considered is almost here! This week the team reviews another ship from the Tri-System and then heads over to the Deneb Quadrant to fawn over the Morningstar. It's also the second iteration of the Wing Commander book club - we'll be reading chapters 2 and 3 of Fleet Action. Join us this Thursday, April 18, at 7 PM Eastern US Time (4 PM Pacific) on YouTube and Discord. Join us Thursday, April 18 on or about 7 PM Eastern for another thrilling episode of All Wings Considered! 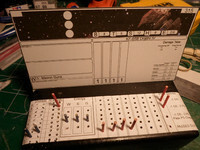 Adm_Maverick has mocked up a neat 'pilot console' for his Wing Commander tabletop game. 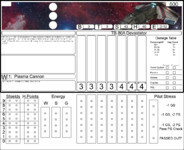 He's built a template for the variety of fighter status that a ship would want to track, and it's been paired with a simple peg counter system so everything is neatly tracked. In the future, it could even be modified to hold the miniature ship and any associated cards. Something like this would even be pretty neat for the official WC CCG too! 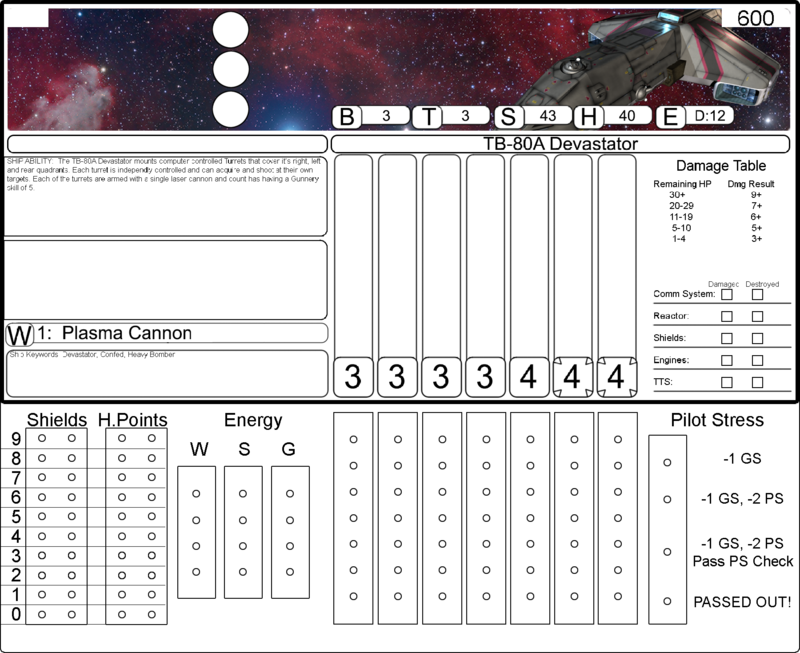 I had posted a design idea for the pilot console the other day. 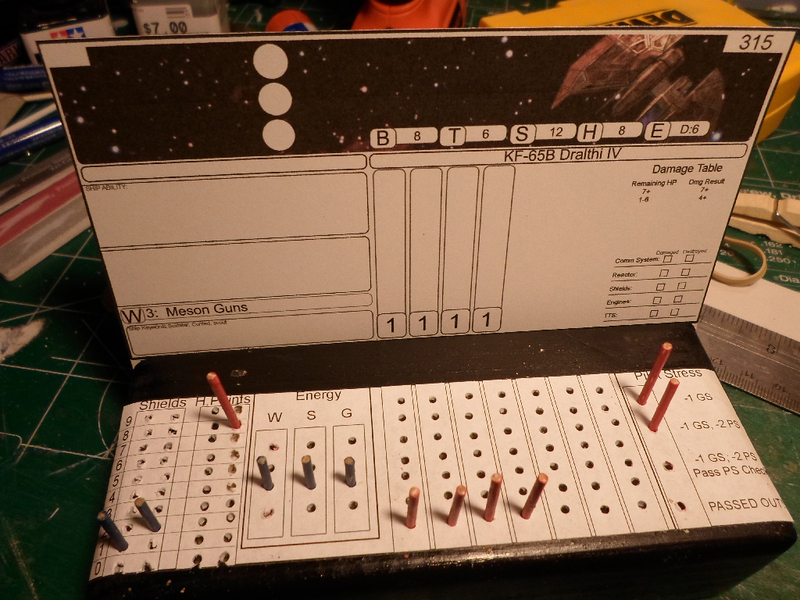 Well I spent a decent amount of time cutting and drilling and came up with a sort of prototype of the pilot console. It's not perfect, and still nowhere near what I envision when I try to market the game, but then again at this point I'm nowhere near that stage anyway. This is just for alpha testing of gameplay mechanics. The design is such that it's intended to allow you to track the information on each fighter at a glance. So no 'calculations' or references. Just counting... mostly. For most items on the pilot console, it's just a matter of how many pegs you have in that section. 2 pegs in missile slot 1 means you have 2 missiles in that slot. The only sections that are different are the shields and hull points section. 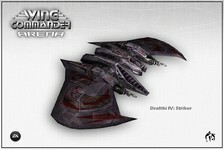 Because some ships have upwards of 50 shields or hull points, the console needs to be able to account for that range. But have 2 groups of 50 pegs would make it rather difficult to see what you have at a glance. So the idea here is that you have 2 columns of numbers, running 0-9. A peg in the first column represents the 10's, while a peg in the second column represents the 1's. So a peg in 1(10) and a peg in 2(1) under shields means the ship current has 12 shield points. Like I said, it's not 'final' but for play testing purposes it works. 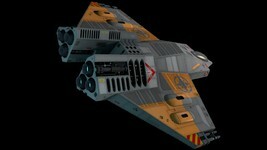 When I get to a point of marketing this game, I'm hoping to make the pilot console a storage item as well. So you can store your ship model, base, pilot card, ship card, and pegs in the pilot console itself meaning you only have this one block to store rather then several items. All news for April 2019 can be found here.